Off Shore Tackle Tadpole Diving Weights offer the trolling angler a simple and easy alternative to using traditional downriggers and divers to get lures down to mid level depths. 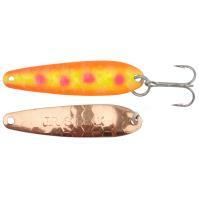 The design of the in-line Tadpole features a flat faced trolling weight with two coast lock snaps. 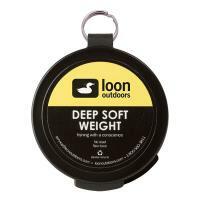 These diving weights are 99% lead free and feature a durable black powder coated finish. 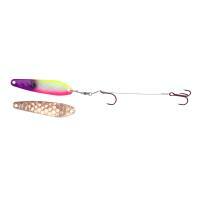 Off Shore Tackle Replacement Guppy Weights are great for snap weight and in line applications when trolling. These weights can be rigged using snap swivels, split rings, or the Off Shore Tackle OR16 Snap Weight Clip (sold separately). Guppy Weights contain less than 1% lead. Off Shore Side Planer Boards are designed for stability and performance. Ballast keeps planer upright even at ultra-low speeds. 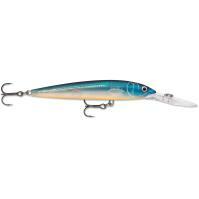 Excellent for deep-diving crankbaits and for use with leadcore. 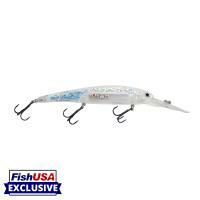 The OR-12 has taken all the abuse these hard fishing professionals could dish out and performed with walleye, salmon, steelhead, stripers, muskie and even sailfish and dolphin. 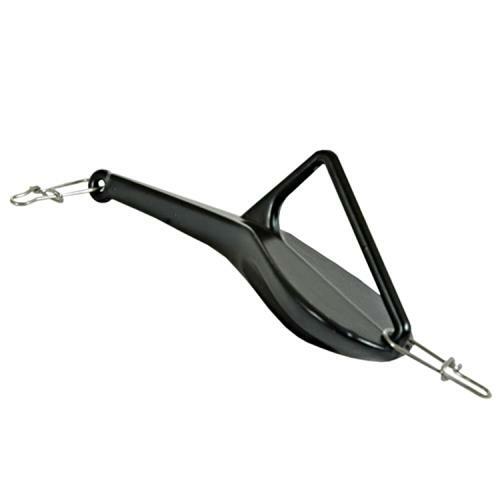 Off Shore Tackle Tadpole Diving Weights offer the trolling angler a simple and easy alternative to using traditional downriggers and divers to get lures down to mid level depths. 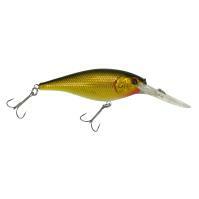 The design of the in-line Tadpole features a flat faced trolling weight with two coast lock snaps. When you set your lure out, the face of the Tadpole points downward, and the coast lock stays at the top of the arm in the clipped position. When a fish strikes, the coast lock slides down the arm into the tripped position, so you easily fight the fish and not the resistance of the diving weight itself. 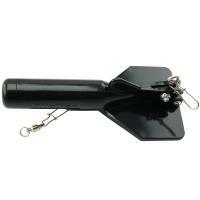 These diving weights are 99% lead free and feature a durable black powder coated finish. 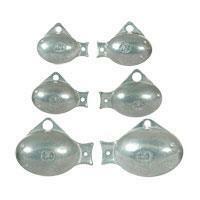 Off Shore Tackle Tadpole Diving Weights are highly effected by speed. Slight fluctuations in speed can dramatically impact the running depth. Going slower will cause these Off Shore Tackle Tadpole Diving Weights to run deep whereas going faster will cause them to rise and run shallower. This also applies to turns, the inside rods will run a little deeper and the outside rods will run a little shallower. 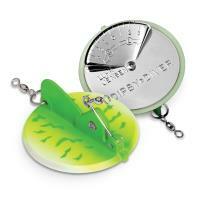 Each package contains one Tadpole Diving Weight and two coast lock snaps. Comments: Great weight for trolling, love how it releases. Caught lots more fish now that we have depth consistency and running different leads. Comments: Great product to get your lure to the depth you want to troll it at. Comments: I like that this gets you at target depth and that bringing in a fish has zero drag. You get to enjoy the fight of the fish. Comments: Tried the 1.3oz model last weekend and loved it. It gets your lure down fast, catches those annoying floating weeds and the release works well when the fish hit so you can fight them better. All around does everything it is supposed to. Comments: Used on Lake Erie for walleye. Was able to troll with these without as much line out and thus not worrying about snagging the bottom on inside turns. Comments: My son and I tried all 4 tadpole sizes out this past Friday on Calaveras Lake in San Antonio. The biggest thing you have to do is know how to calculate all the variables such as the test line you are using in mono or braid (15 lbs Moss Green PowerPro Braided Spectra Fiber), length of leader tied to the tadpole and how far back behind the boat you are running the tadpole and lure. You will need to know all of this in order to accurately know what speed is required to effectively hold the lure at a certain depth. My son used his iPhone while we were on the water and went to offshore tackle website then clicked on Dive Charts. I also went to Precision Trolling to get a full understanding of identifying the key variables. Here we were able to accurately chart the number of feet we need to have the lure deployed behind the boat and the speed we need to be going to achieve the depth we needed to be at in order to present the lures in the fish strike zones we were seeing on my Lowrance® Elite-5 HDI Fishfinder/Chartplotter Combo. He also used GPS on the fishfinder/chartplotter to know our true trolling speed. Comments: Great product and does what they say it will do. 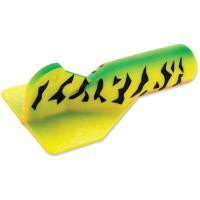 I purchased these to use fishing steelhead on lake michigan. 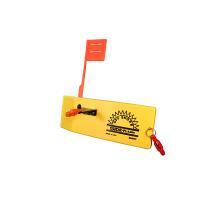 They give you the ability to run spoons way from the boat and to a set depth. Nice to not have to fight the weight when you have a fish. Comments: Gets you down in a hurry. Easy to sense when its tripped and easy to reset if necessary. 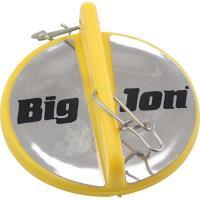 I'm using these with spinner rigs instead of bottom bouncers. Would recommend to friends. Comments: Haven't had a chance to use these yet but I think I will be able to leave the lead core at home now. Comments: Use in deep water to get lure down. Easy to use. 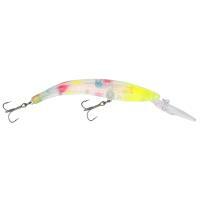 Excellent for deep fish like lake trout. Does not tangle. Much easier than using dipsy diver or others. Comments: Need one/two sizes a little heavier. Comments: tried both sizes out each side of boat, trolled over a underwater point and crushed 2 giant smallmouths the very first troll. next point 3 walleyes. i will be ordering more !!! Comments: They are almost illegal !!!!!! 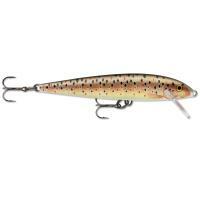 How do I determine depths with diving crank baits? Can you pull diving crank baits and get accurate depths? 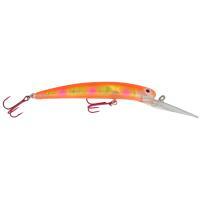 While you can run any style of lure with this item it is not recommended to run deep diving lures. 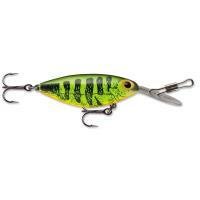 It is recommended to run shallow diving lures, worm harnesses, spoons and any similar lures. 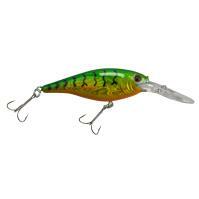 Deep diving lures may cause the swivel to trip and determining your depth would be difficult. 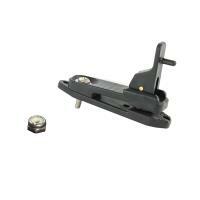 Off Shore Tackle Pro Snap Weight Clip has an extra heavy spring tension and includes a split ring. To use with snap weights and trolling weights simply position your fishing line behind the pin that protrudes through the center of the pads to hold your snap weight securely on the line. 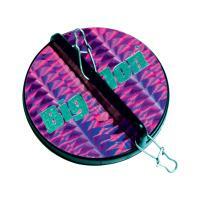 This item is ideal for use with snap weight fishing and super braid lines. The Pro Snap Weight Clip can also be used on the OR12 and OR31 Planers Boards. 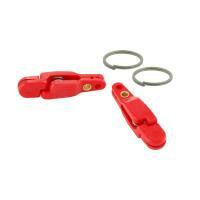 Comes two clips and split rings per package. 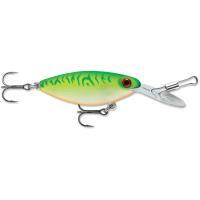 Storm Hot 'N Tot MadFlash lures offer the same classic Hot ‘N Tot searching action and metal lip as the original but loaded with the hottest fish catching innovations. 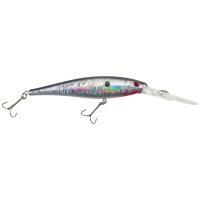 Hot 'N Tot MadFlash Lures feature detailed external scale patterns, classic and UV Bright finish choices, 3-D holographic eyes and VMC premium black nickel hooks… The fish won’t know what hit ‘em!